As the Feast of the Seven Fishes winds down, a simple dessert is called for. 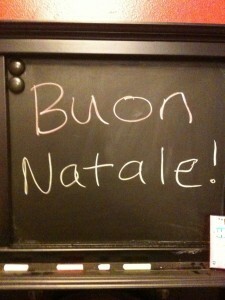 The formal Italian meal will also include coffee and an after dinner drink, often of a digestivo. Dessert has two specific dishes that we prepare to cap off the Feast of the Seven Fishes – Tasty Oranges and pitzelles. Tasty Oranges are simple macerated orange slices that have some added sweetness, but enough gentle citrus to easy the dessert on. After such a heavy meal, dessert tends to be lighter to allow the digestion to set. Using a paring knife, remove the peel and pith of 4 oranges, then slicing them into rounds. Arrange the slices in a shallow dish or bowl. Combine the juice of the remaining two oranges, the sugar, the zest of the lemon and the juice from half the lemon. 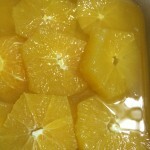 Pour the citrus and sugar combination over the oranges. 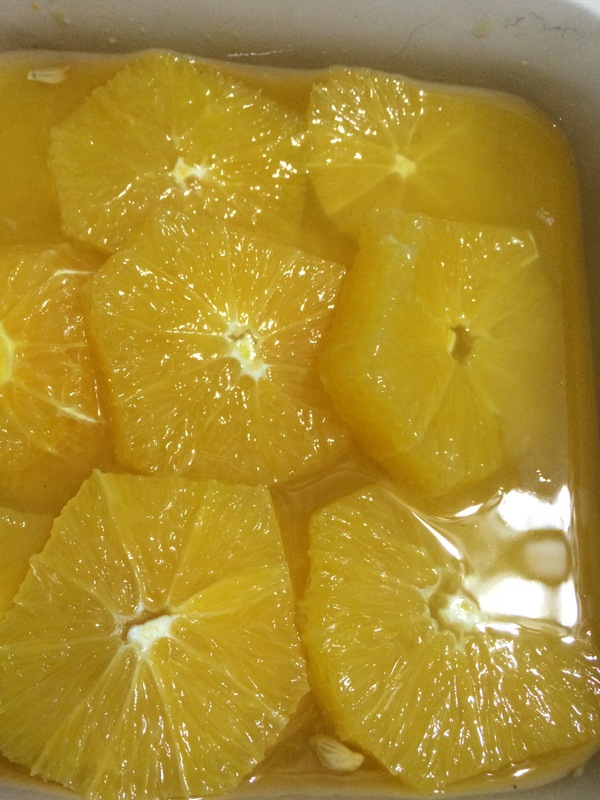 Let the oranges macerate overnight, or at least a few hours, in the refrigerator. 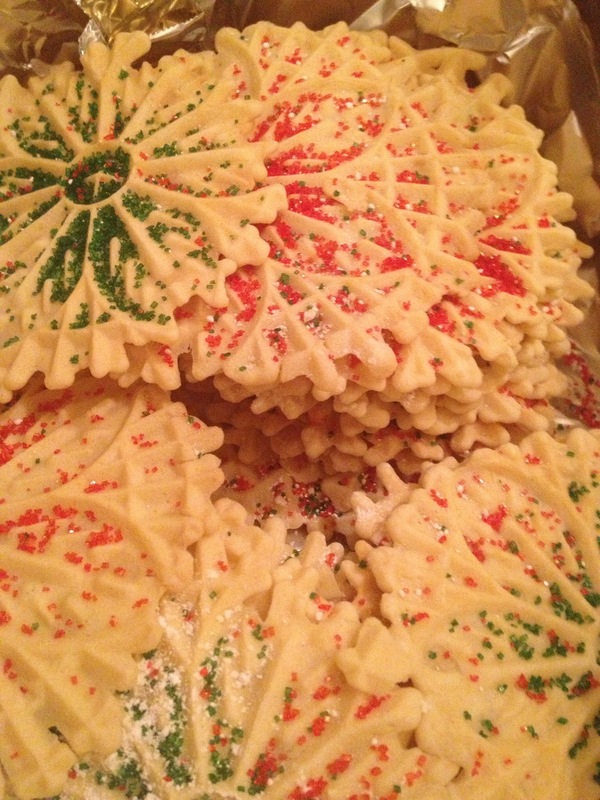 Pizzelles are thin, Italian waffle-cookies for lack of any better way to describe them. 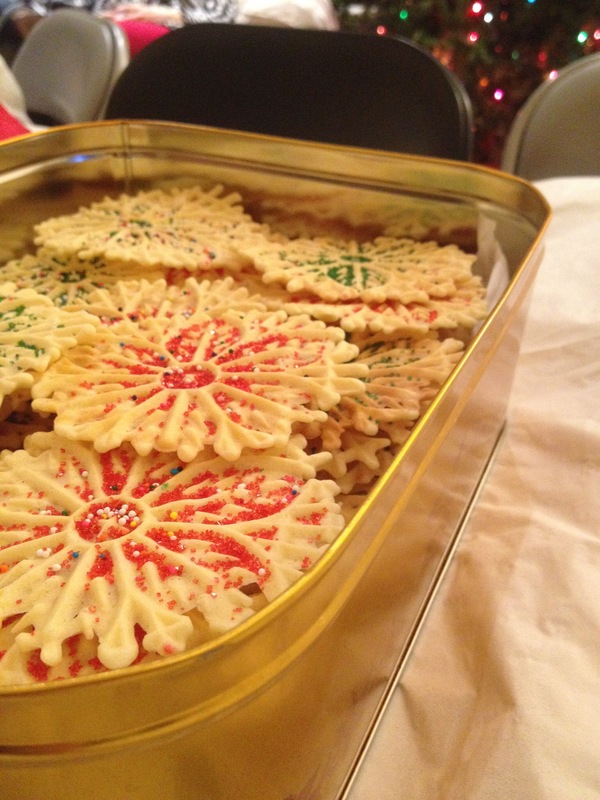 They are made in a pizzelle press of with batter and can be stored in a wax paper lined tin for well over a month. Dust them lightly with powdered sugar or sprinkle for the completed effect. The biggest question for pizzelles is whether you use an electric pizzelle maker (like we do) or a classic metal pizzelle press that you hold over the stove. Newer electric pizzelle makers can let you get as crispy as the old school press, you may just need to leave them in the heat for a little longer than usual. The recipe that follows is a pretty standard pizzelle recipe, as it is a simple batter with a little flavoring. Add the flour and baking powder to the egg, sugar, and butter mixture mixing another 15-30 seconds or until just combined. Cook the pizzelles by adding about 1TBSP of the batter to each pizzelle shape in the press. The electric pizzelle makers will time this for you, like a waffle iron. Only practice can give you the timing for the stove top heated press. 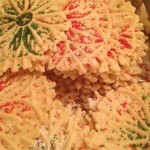 Once the pizzelles are cooked, which will be fairly quickly, remove them to a rack to cool. 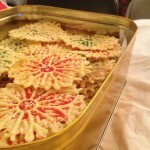 Dust the pizzelles with powdered sugar or seasonally appropriate sparkles. 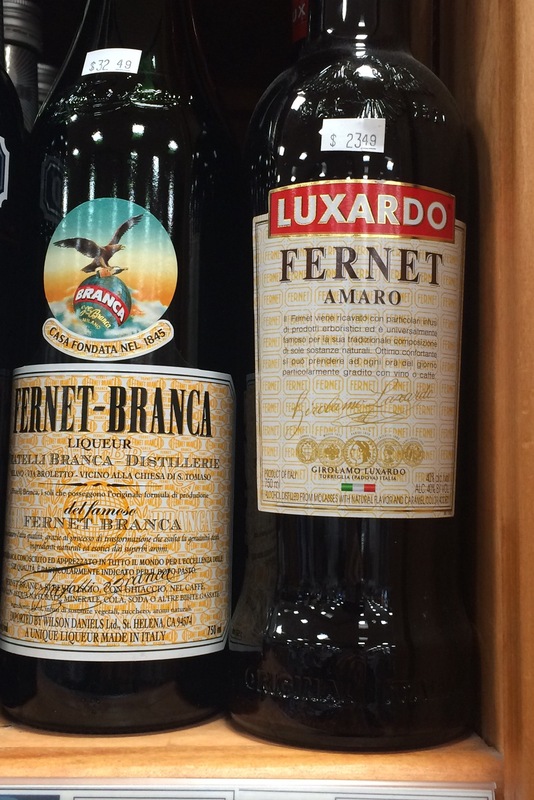 Fifteen to twenty years ago, my father would buy Fernet Branca from the only place he could find it in town, hidden in the back of a shelf and possibly covered in dust. 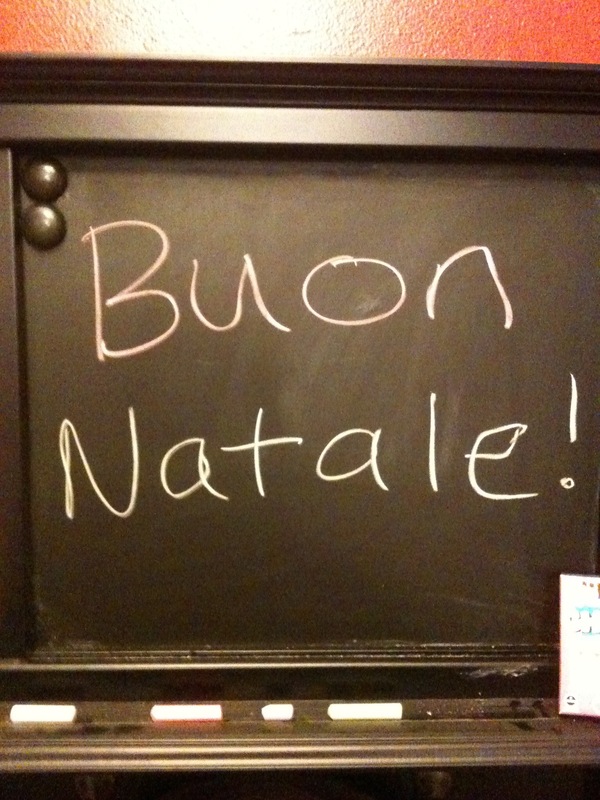 Today, it is far easier to find after dinner digistivi that complete a formal Italian or Italian-American meal. 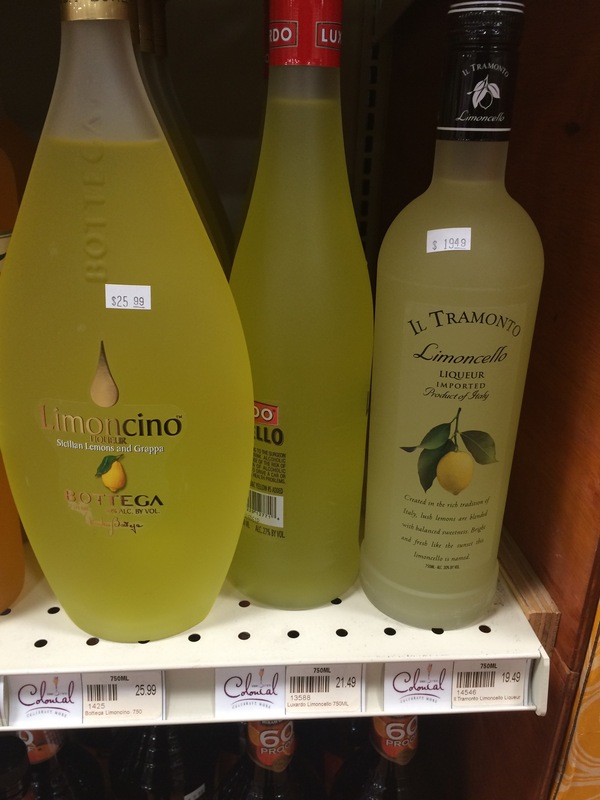 The settling of the stomach is said to be taken in part by drinks like a Fernet, the most famous made by the Branca brothers company but also Luxardo makes one available now, as well as limoncello or Grappa. Fernets have an herbal and bitter flavor to cleanse the palate. 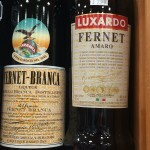 Particularly, the Fernet Branca version is recognized for its strong mint components. In a similar vein, a nice limoncello can bring the meal to a pleasant close. 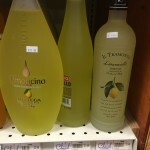 Limoncello is a lemon liqueur, though some variations, especially the homemade versions, can clock in at nearly 70 proof or more. 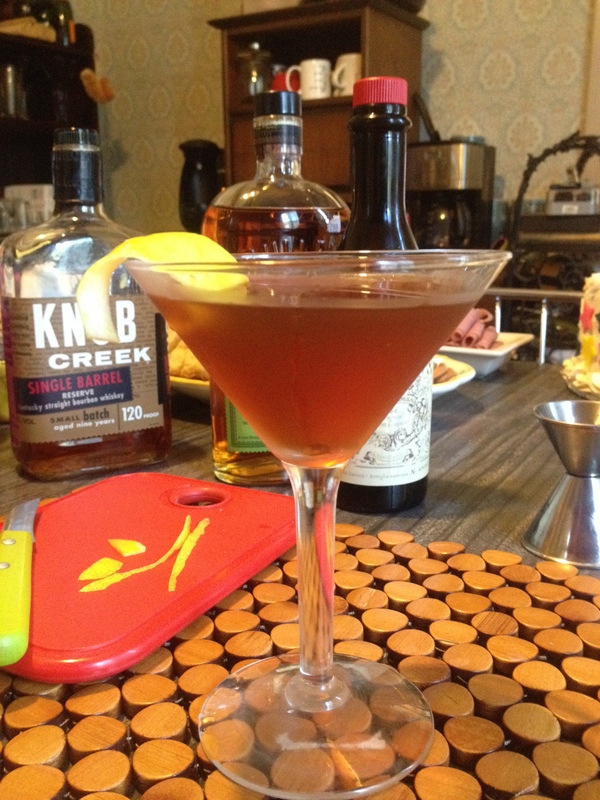 This reminds me, it is about time to make a new batch. Grappa is a liquor that is made by distilling the grape must leftover at the end of the vinting, or wine-making, process. 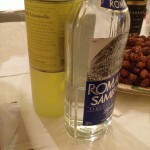 Because of this, be careful when the grappa comes out because it is a full strength 80 Proof liquor. 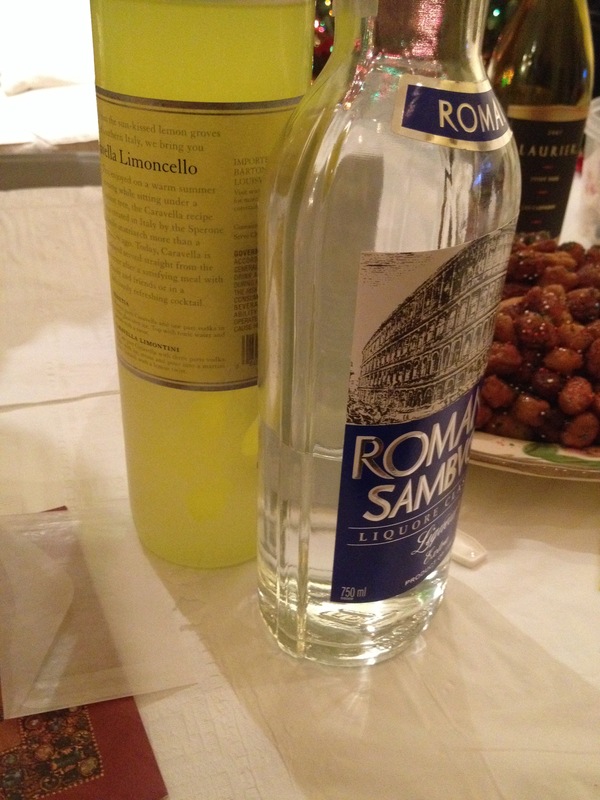 In a similar vein, I have taken to bringing sambucca to the Feast of the Seven Fishes. Sambucca is an anise flavored liqueur that also comes in at around 80 proof and is traditionally served with coffee beans floating on top. The call back to the anise flavoring in the pizzelles as well as the coffee traditions that close a traditional Italian meal appeal to me. One way to enjoy a final part of the meal, is to enjoy a cafe corretta – a corrected coffee. Take a shot of your grappa, sambucca, or fernet and drop it into your pleasantly strong coffee to enjoy the best of both worlds. I hope that you have enjoyed taking a look at our specific family traditions for the Feast of the Seven Fishes this week. We have shared the look at our family history and hope that your family traditions are long-lived, well-loved, and bring the same sort of joy and community as ours do.